Three UTAR students stole the limelight when their names were announced as the winners of the prestigious awards called ‘The Youth Awards’ at the Youths Today. 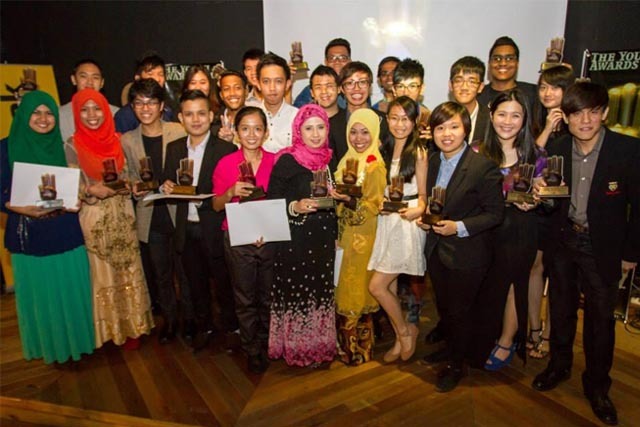 Com’s inaugural award presentation ceremony held at the Chatime Galleria in Puchong, Selangor on 14 June 2014. The winning trio comprising Heong Kian Kee, Lee Jia Ling and Kum Peng Han walked away with trophies, certificates and cash prizes worth RM5,000 each. Organised by Youths Today.Com, the event aimed to recognise the potential of youths in Malaysia as well as to select its first generation of Malaysian Youth Ambassadors. “I feel very honoured and overwhelmed to be one of the 21 Youth Ambassadors out of the 1,000 nominees,” said Lee, a third-year Banking and Finance student. 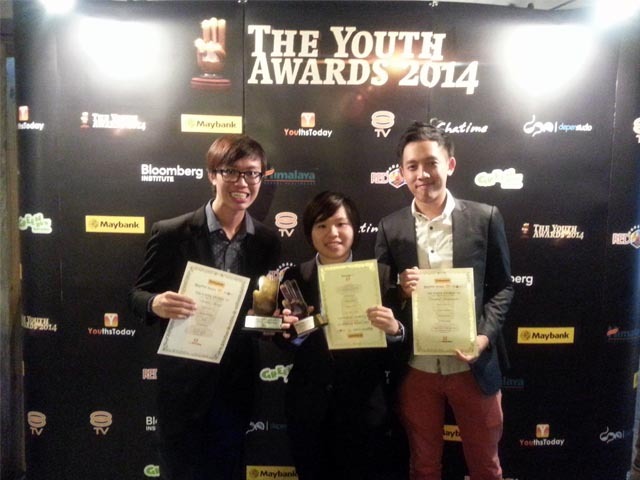 She also hoped that her win would inspire other youths to step forward to help to build a better society. This award presentation night celebrated the victory of up to 26 outstanding student leaders (21 youth ambassadors and five outstanding awards) from all over the country. The participants went through a three months of journey in which they have to complete a total of three stages, namely, ‘The Write-up’, ‘Your Ideal Product’ and ‘Video-fy Yourself’ for them to clinch the awards.